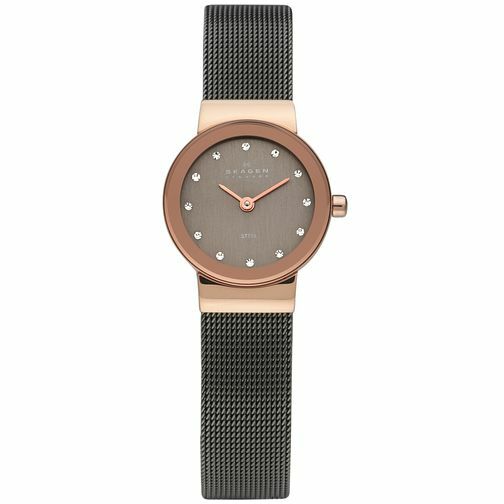 From elegant Danish watchmakers Skagen, this sleek ladies' timepiece boasts a stylish two colour finish. A rose gold tone case is contrasted beautifully with the dark tone of a stainless steel mesh bracelet, shimmering with a grey mother of pearl dial. Finished with gleaming crystal hour markers, this timepiece offers a sophisticated dash of glamour.